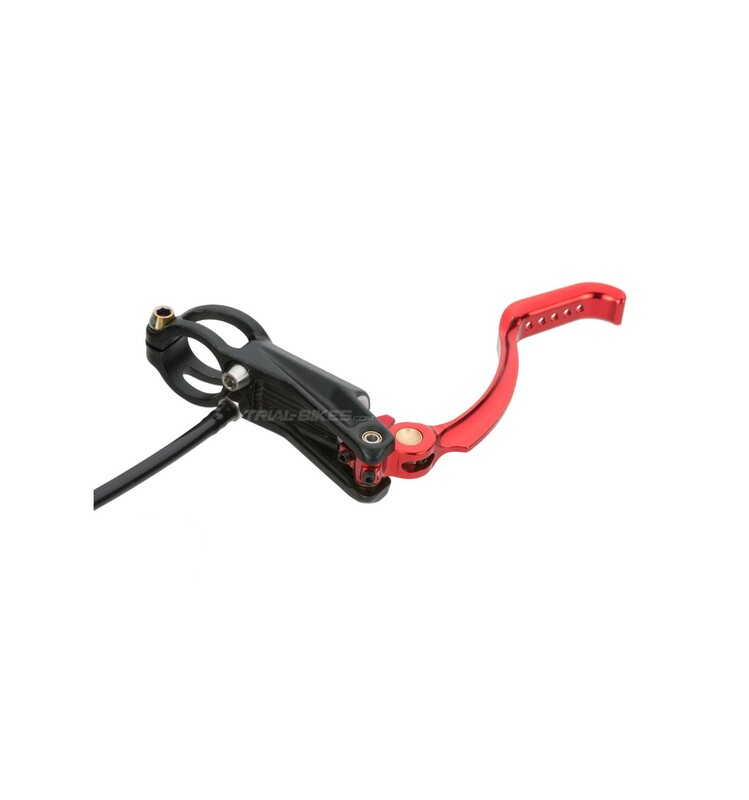 - New edition of Echo’s highest quality rim brake: the Echo SL 2017 rim brake. - The main update is the addition of a cap for the lever piston bore, in order to guide and limit its movement and prevent any leaking. - The lever body has also been revised in order to improve its performance and ensure reliability. - Both the lever body and slave cylinders have been forged from high quality 6061-T6 aluminium alloy. - The handlebar clamp only uses 1 bolt in order to get the neatest, lightest design. - Features a reversible lever body, so it can be used as a right-hand or left-hand brake. - Exclusive Echo SL brake lever, 10cm long, with a new, optimized shape that is more ergonomic and efficient, with 5 holes on the finger area. - The lever reach can be adjusted thanks to the bolt located on the lever blade. 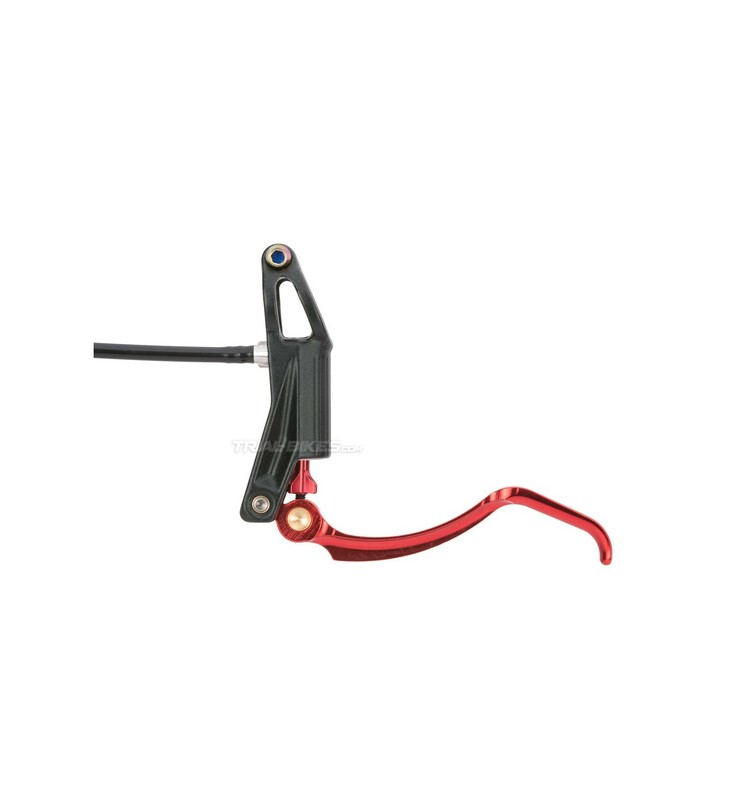 - The bite point can also be adjusted with the other bolt, or with the aluminium TPA wheel, located between the lever blade and lever body, which makes it easier to turn and harder to damage. - The cylinders have smaller dimensions than other brands’ brakes, which helps prevent the foot or cranks from rubbing them. 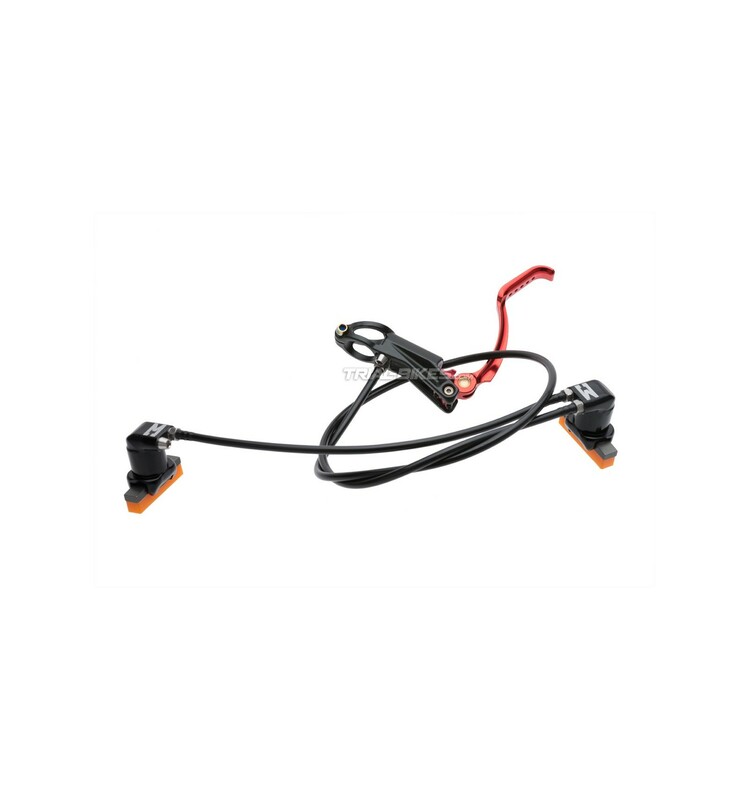 - Reinforced PVC brake hose, 800mm long (front version) and 1190mm long (rear version), strong and lightweight. 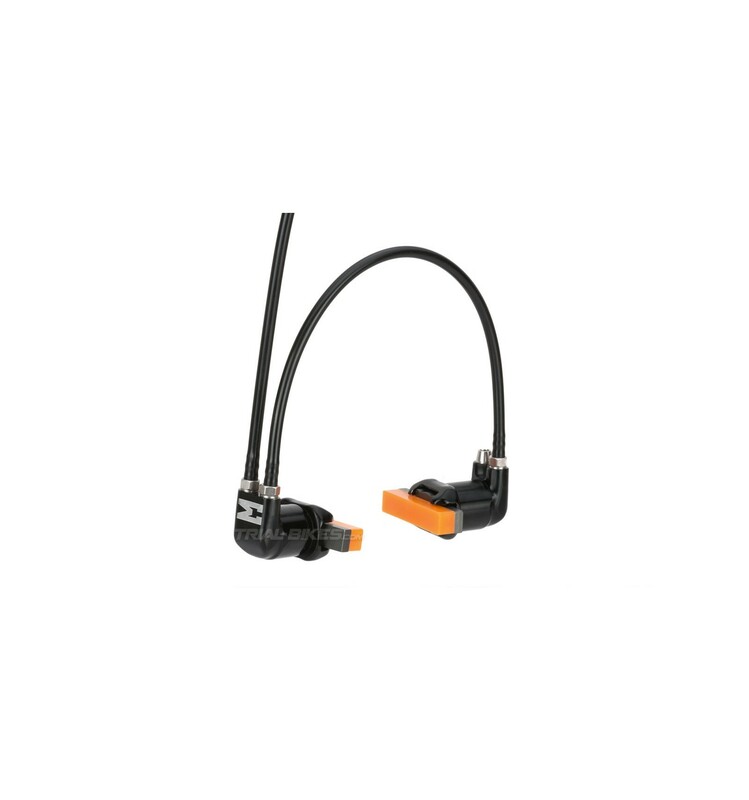 - The brake is supplied with Echo SL CNC Orange brake pads, and uses high quality titanium bolts. 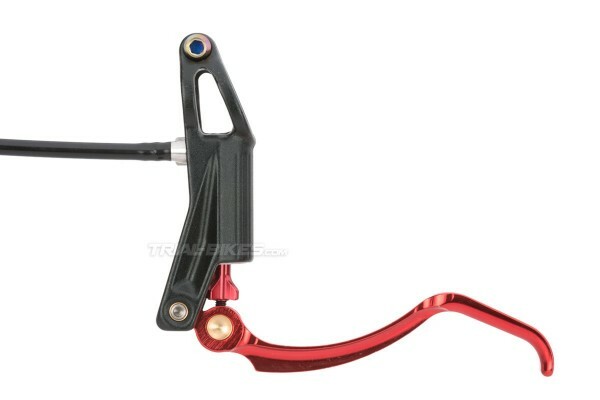 - The brake comes bled and ready to install on the bike. - Compatible with most brake pads available (Coustellier, Trialtech, Clean, etc.). - Echo brake pads are not compatible with other brake cylinders. - In case you need to bleed the brake, mineral oil must be used. You mustn’t use DOT fluid or any other fluid. - Anodized black lever body and cylinders. 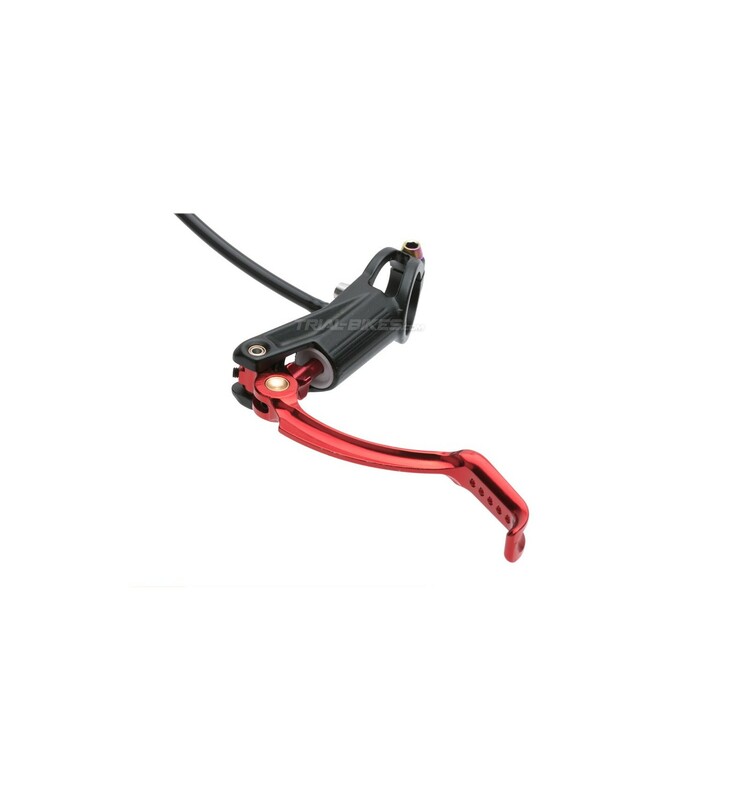 - Anodized red lever blade and TPA wheel. - Silver hose ends and bolts (except for the handlebar clamp bolt, which has a rainbow finish). - Silver pad backing and orange compound.